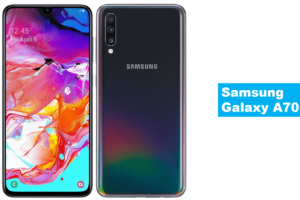 Samsung announced the company’s top-end Samsung Galaxy A80 smartphone in the ‘A Series’ at an event in Thailand. The Galaxy A80 sports a 6.7-inch Full HD+ New Infinity Super AMOLED display with 20: 9 aspect ratio. It is powered by the latest Octa-Core Snapdragon 730G SoC with 8GB of RAM and runs Android Pie with Samsung One UI. This phone has a 3D Glass body with a metal frame and comes with an in-display fingerprint scanner. It packs a 3700mAh battery with support for 25W superfast charging. 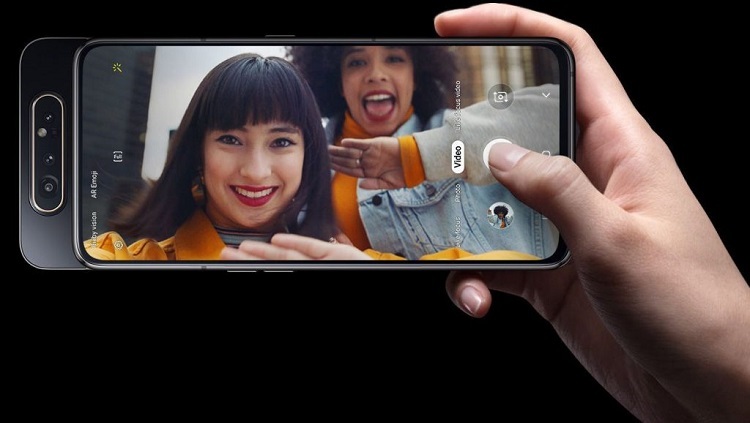 The Galaxy A80 phone features rotating camera module. The same camera works for both front and rear of phone. The primary camera is a 48 MP rear camera with f/2.0 aperture, secondary 8MP 123° ultra-wide-angle lens and a 3D Depth camera for Live Focus by scanning objects for measurement and depth. As, it has rotating camera feature, when user selects the selfie mode in the camera app those three rear cameras automatically pop-up from the back of the phone and rotate as front camera. The mobile sports a 6.7-inch Full HD+ 20: 9 New Infinity-U Super AMOLED display with a resolution of 2400 x 1080 pixels. 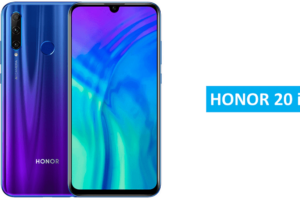 It is powered by Octa Core (2.2GHz Dual + 1.8GHz Hexa) Snapdragon 730G Mobile Platform with Adreno 618 GPU and runs Android 9.0 (Pie) with Samsung One UI. The device comes with 8GB RAM and 128GB Storage. It has rotating camera that works for both front and rear of phone. The primary camera is a 48MP camera with LED flash with f/2.0 aperture, 8MP 123° ultra-wide angle camera with f/2.2 aperture, 3D Depth camera. The device supports Dual 4G VoLTE, Wi-Fi 802.11 ac (2.4GHz + 5GHz), Bluetooth 5, GPS + GLONASS, USB Type-C. It has Dual SIM, Dolby Atmos and comes with In-display Fingerprint sensor. The mobile packs 3700mAh battery with 25W superfast charging, and the phone size measurement is 165.2 x 76.5 x 9.3mm. 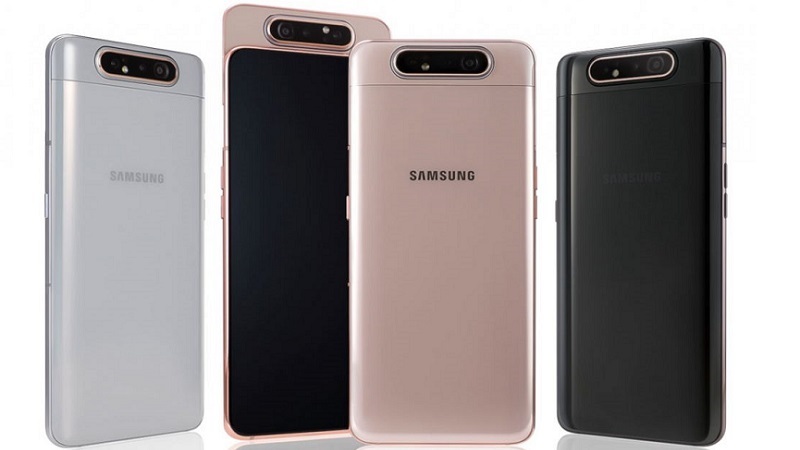 The Samsung Galaxy A80 is priced at 649 Euros (US$ 729/Rs. 50,445 approx.) and comes in Angel Gold, Ghost White and Phantom Black colors. 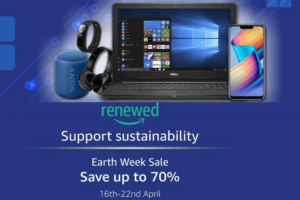 It will roll out in Europe from mid-May. Share, your thoughts about Samsung Galaxy A80 smartphone in the comment section below.